The LX2000 utilizes the latest in high-resolution inkjet technology to print brilliant full-color product labels on demand! With the purchase of a Primera LX2000 printer from OnlineLabels.com, you'll receive $200 in free credit for use towards our entire selection of compatible inkjet roll labels. This is the perfect opportunity to try any of our available sizes and materials, from our standard White Matte to our stunning, ultra-durable Weatherproof White Gloss. 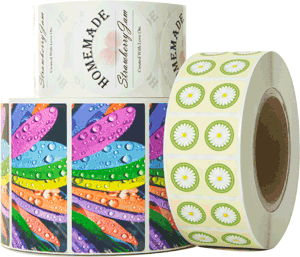 No matter which you choose, your labels will be bright, colorful and professional looking! Supply Roll 6" (152mm) maximum diameter on 3" (76mm) core. Label Design Software BarTender UltraLite Primera Edition included. Can also be used with most other popular label design and graphics software programs. Compatible with Maestro Label Designer.